In every industrial sector, there are some applications that require wires which can resist high temperatures and also continuous temperature changes. Heat resistance wires are specifically built to fulfill the aforementioned requirement. These wires generally have a specially built core and almost always are sheathed in a tube of an alloy. As the areas of application of heat resistance wires are innumerable, these are available in various forms, with some examples being industrial resistor wires, ferrous resistor wires, oxidized resistor wires and many more. The most common material used in the manufacturing of heat resistance wires is nichrome, a non magnetic 80/20 alloy of nickel and chromium. This is due to the fact that nichrome has very high resistivity and also is resistant to oxidation at higher temperatures. 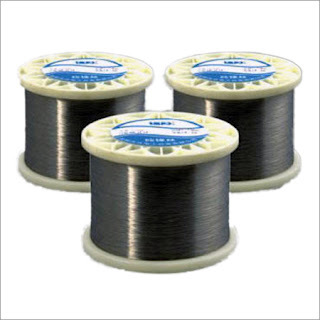 Apart from nichrome, other alloys that are used for manufacturing heat resistance wires are kanthal, constantan, manganin and balco. One important thing to note here is that every alloy has its specific characteristics and certain pros and cons when used to manufacture heat resistance wires.